Bring on the BOO’s and BREWS – Halloween is near! 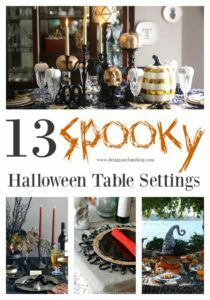 I love a cool Halloween Tablescape and I adore Halloween Adult Drinks. 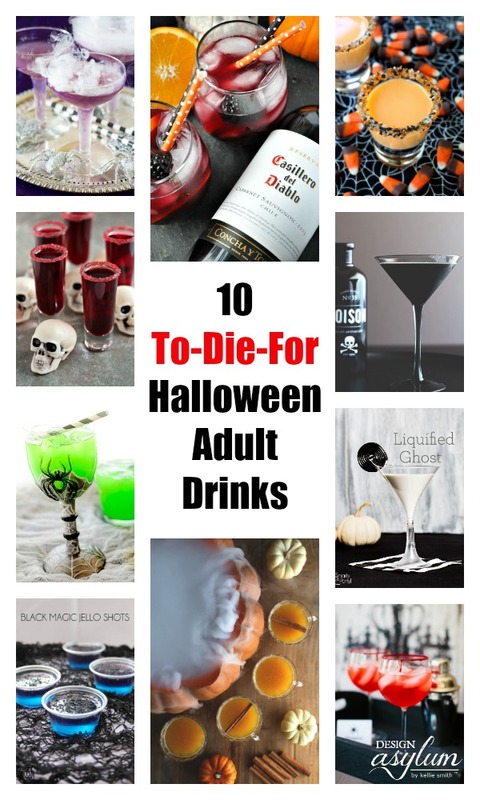 I have searched the web to decide which Halloween adult drink(s) I will be making this year and I found so many fab ones it’s going to be hard to choose! 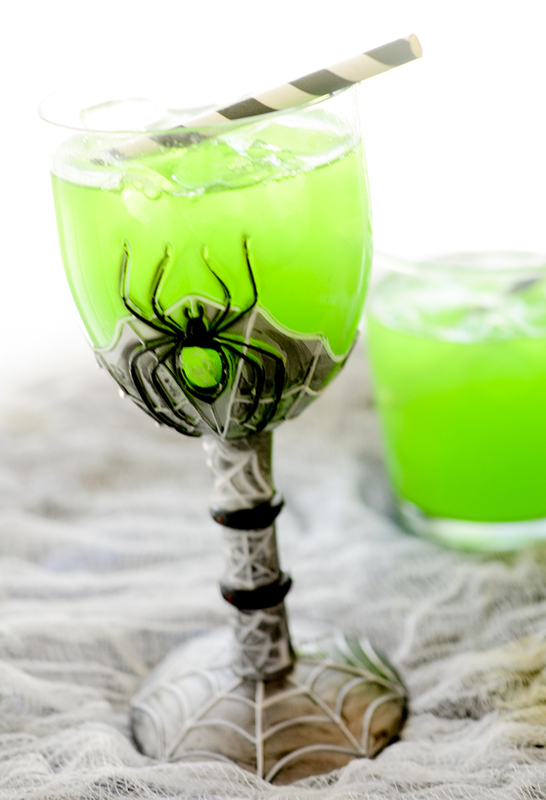 Pineapple juice, vodka, and soda make up this festive Halloween cocktail…isn’t that spider glass just perfect? 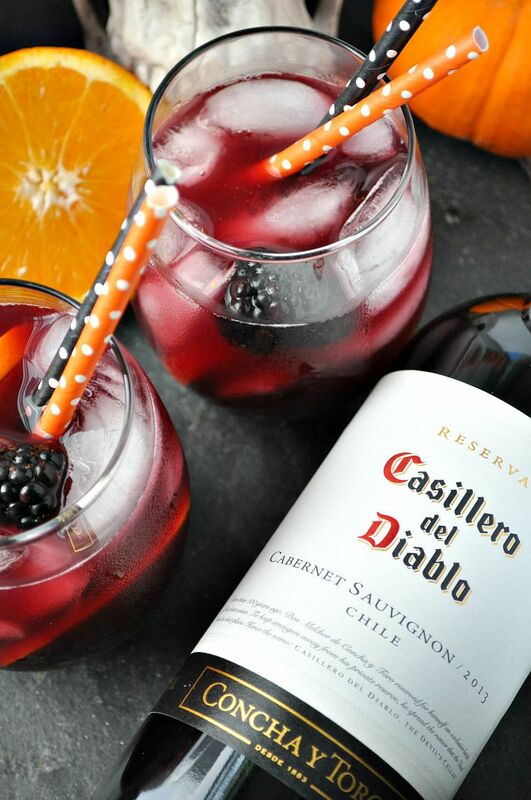 Aren’t the colours of this Halloween drink beautiful? I love the two straws that she added. This recipe seems to-die-for! 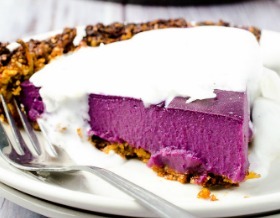 That’s when it’s time for a dessert shot. 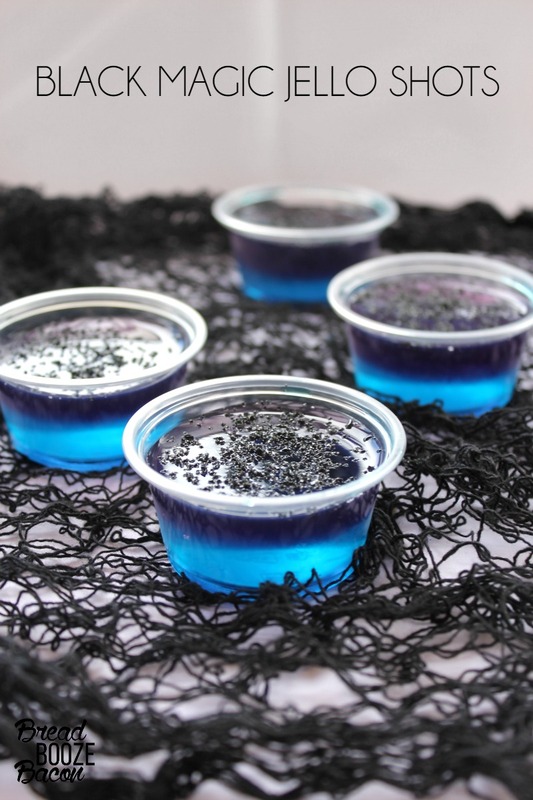 You get the sweet flavor of dessert and all the booziness of a shot all in one. And they won’t fill you up. Win/win. 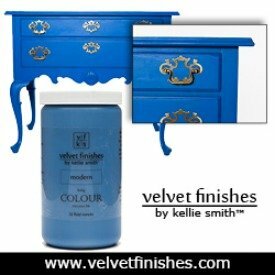 This one I am swooning over! 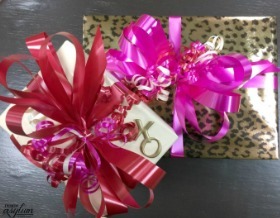 The presentation is haunting, yet lovely! 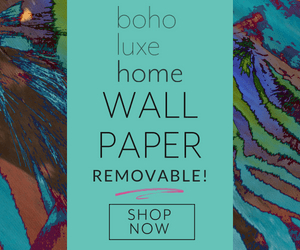 These guys are perfect for any Halloween party! I mean, who doesn’t love jello shots? 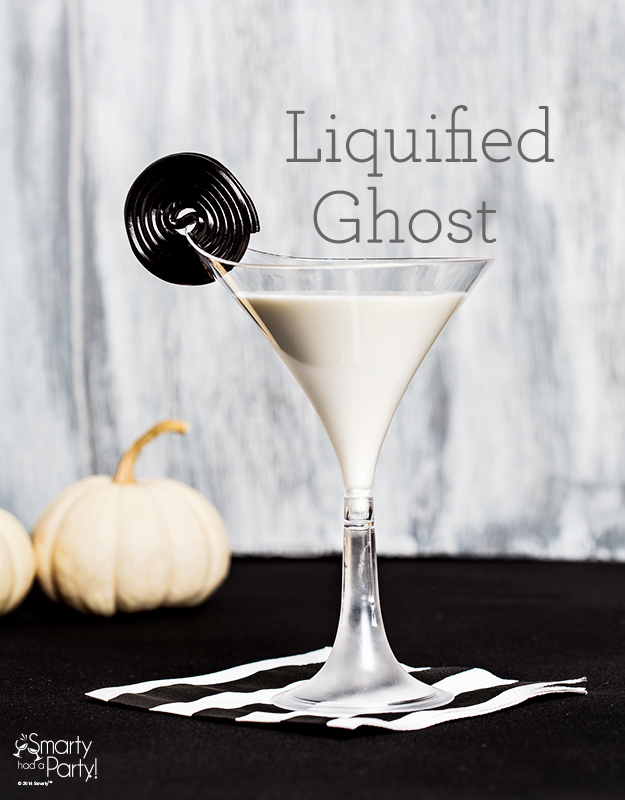 Vodka, simple syrup, cream, soda, adorned with black licorice – holy YUM! 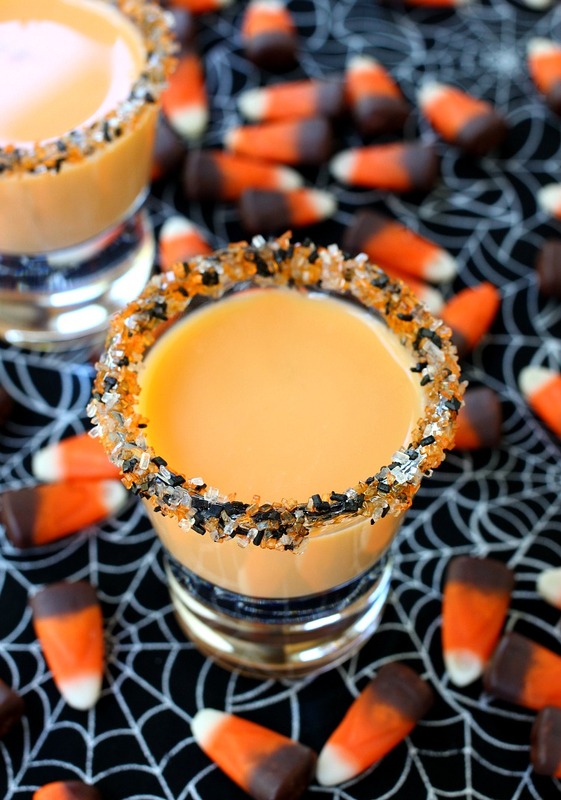 And what better way to entertain your guests than with a spooky pumpkin punch? 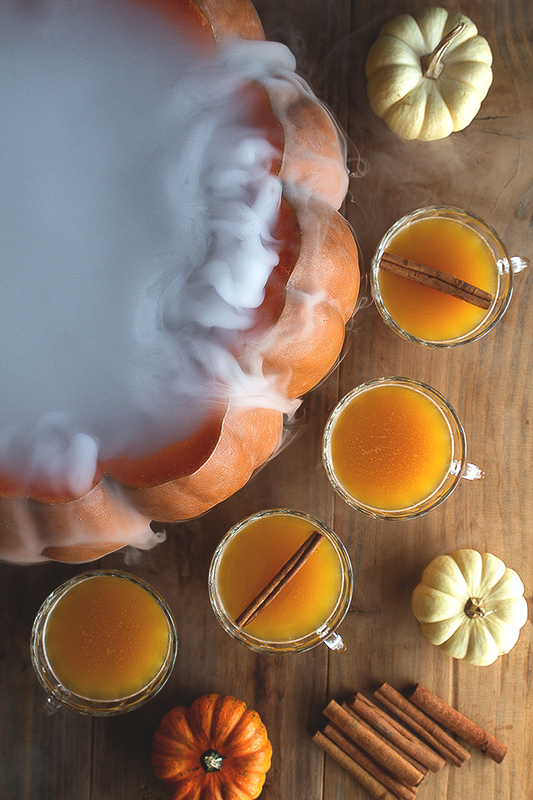 Served, naturally, out of a creepy giant steaming pumpkin. 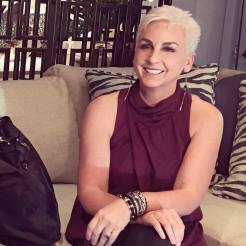 Honestly, to die for! 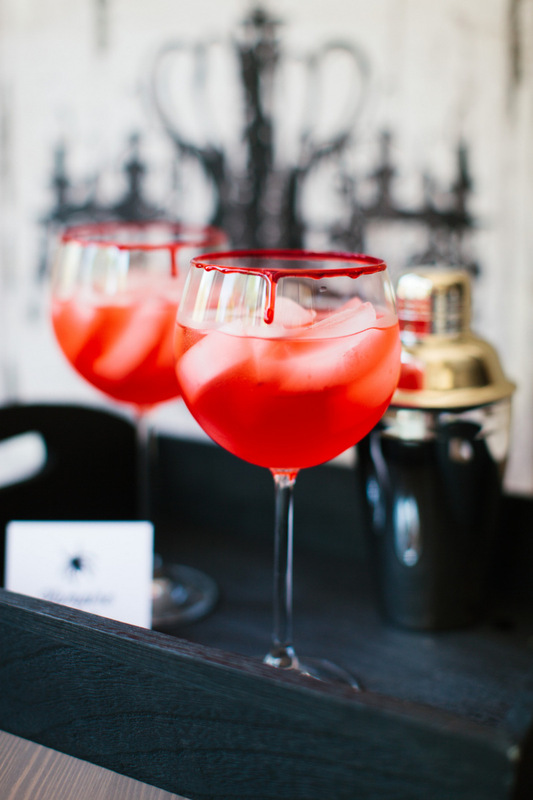 Calling all pop culture enthusiasts — this Walking Dead-themed drink is to die for. 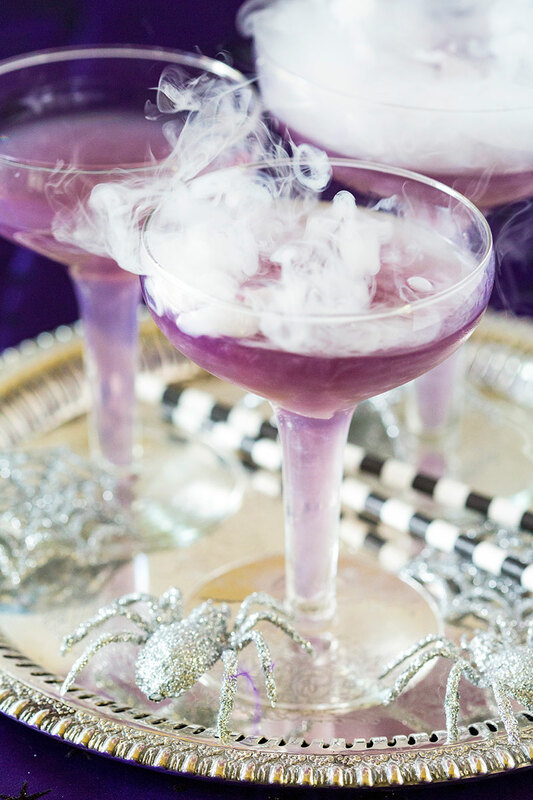 Double, double toil and trouble — chill this sparkling purple cocktail with dry ice to create the illusion of a true witch’s potion. How COOL?! RUM! 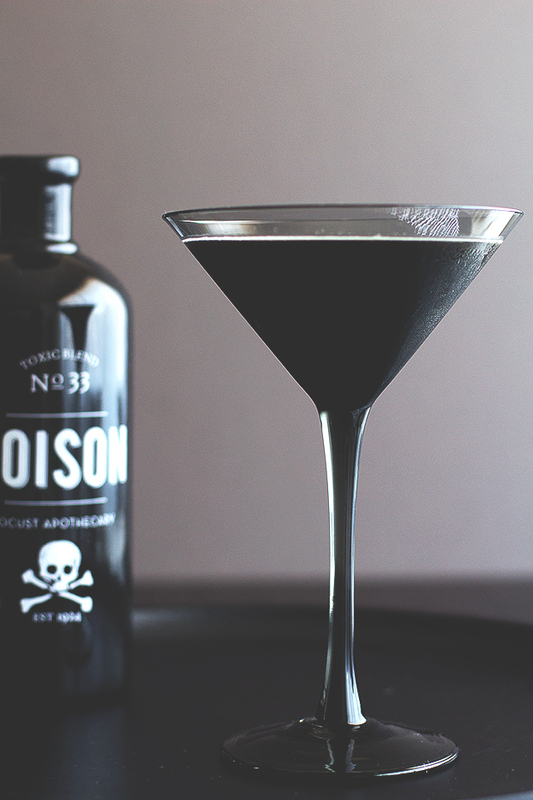 This jet black drink is sure to please! 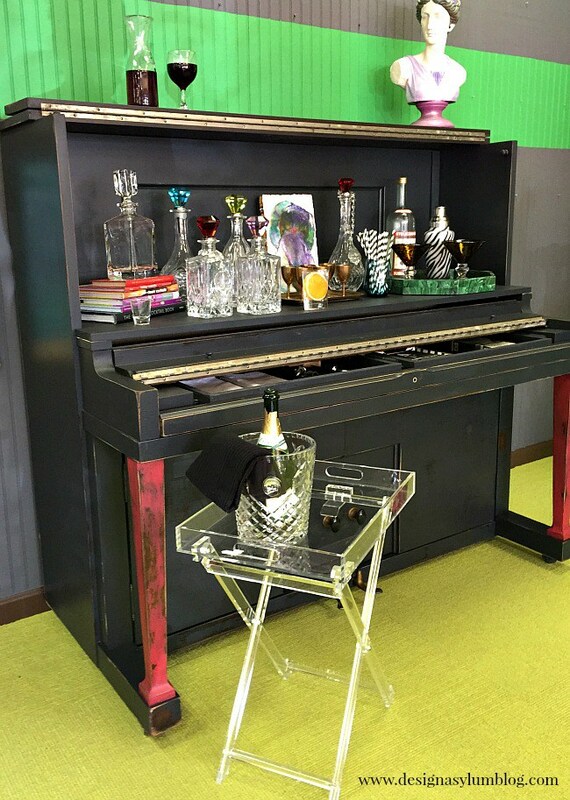 I will totally be using my Piano Bar that I DIY’ed last year to be serving my Halloween adult drinks! Remember this bad boy? 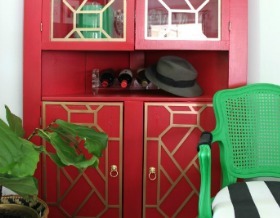 You can see my easy tutorial here on How to Transform a Piano Into a Bar, here! 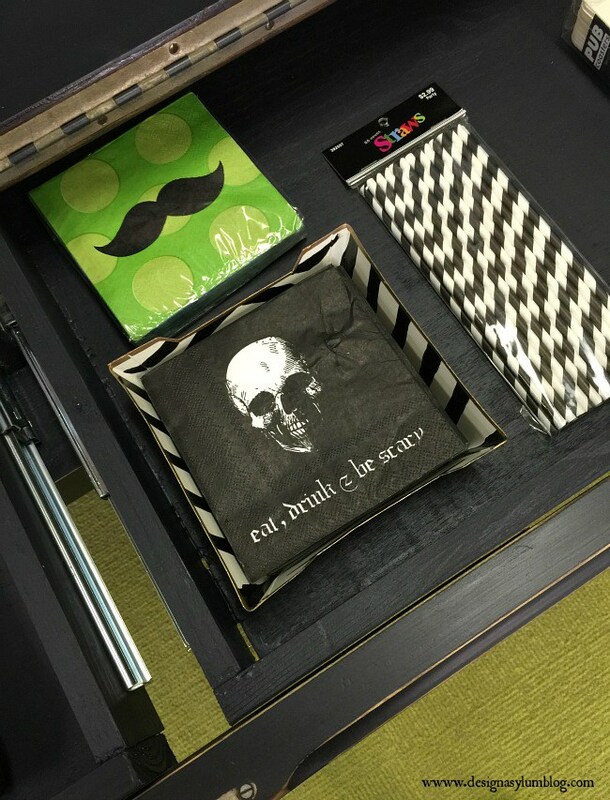 I even have the cutest skull napkins to add to the mix! 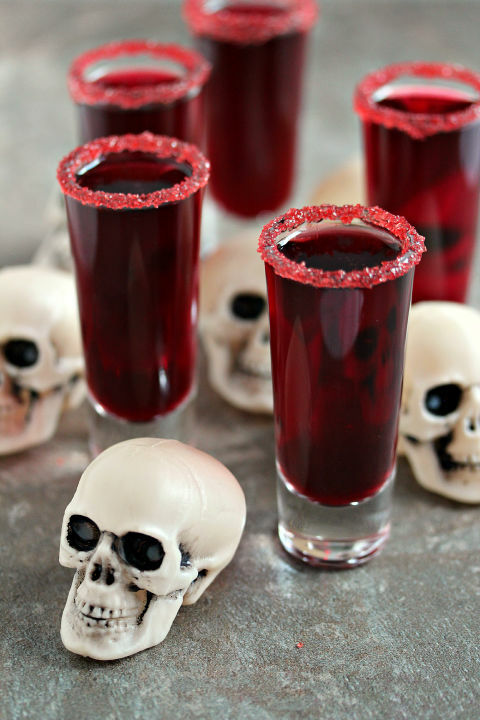 So there we have it – 10 To-Die-For Halloween Adult Drinks! 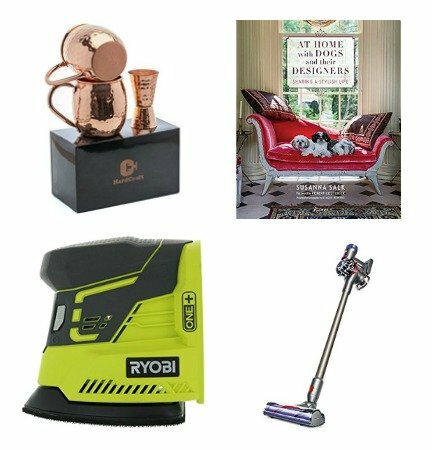 Which one(s) tickled your fancy?